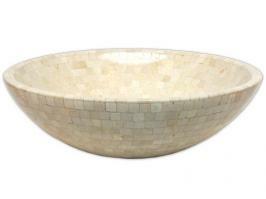 This standard sink vessel is a classic that will look perfect for years to come. 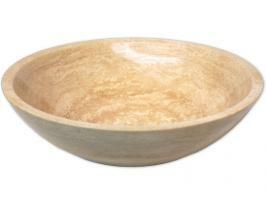 The simple and elegant bowl design is enhanced with the natural veins of the marble material. 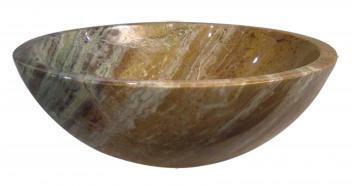 The marble is finished to a sleek and silky smoothness. Each piece will be unique from any other because of the natural patterns of the stone. 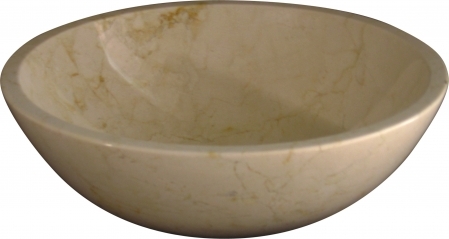 Material: Marble is a porous stone, and offers a unique look with its natural veining. Marble requires more maintenance than other natural stones, but can last a lifetime if taken care of properly. Marble can be damaged by acidic foods and cleaners, and is more vulnerable to scratches and etching (water marks) if not dried routinely. It is recommended that you seal Marble every 3 - 6 months.